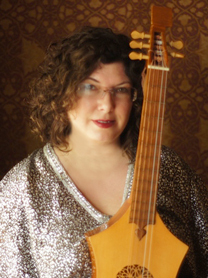 Baroque guitar, Citole, Renaissance flute, Renaissance guitar, viola da mano, recorders. Tina's interest in early music began at a young age. While all of her friends listened to rock and roll, she spent hours listening to recordings of early music. A performance she heard one day on WGUC of Tarrega's "Recuerdos de la Alhambra" led her to her life's calling, the classical guitar. In high school she added flute and recorder to her guitar studies, and carried all these with her into college, both as student and teacher. She has studied with Hopkinson Smith, Patrick O'Brien, Paul Odette, David Walker, Rodney Stucky, and Brian Dayo, and has attended countless festivals and workshops, both in the US and abroad. In 1990 she had the extraordinary good fortune to marry a luthier, Larry Brown, and she now performs almost exclusively on instruments he built, including renaissance and Baroque guitars, and the rare and beautiful citole. 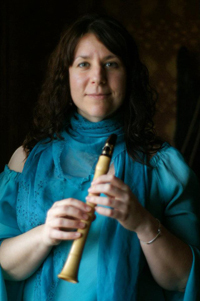 She has performed with early music ensembles at Classical Revolution, the Mercantile Library, and many other locations around town. She was also one of the invited artists to record on both volumes of "Ring," a Christmas CD released by WGUC, where you can hear her perform original compositions. The Noyse Merchants' musical director, she also contributes with keyless renaissance flute in addition to her guitar work. Tina believes in the power of music as a vehicle for peace and healing, and in the way it adds joy to life. Her own life is filled with many joys, including the companionship of her two cats, well-known for their many appearances on Facebook. Lute, medieval and renaissance recorders, viola da mano, hurdy-gurdy. Larry graduated from Ohio State in 1972 with a B.A. in English literature with an emphasis on Medieval and Renaissance studies. He immediately traveled to London, England where he studied lute with teachers at the Royal College of Music. In England he took an interest in instrument making and studied construction techniques and museum lutes with several lute makers. The 70's was a pivotal period of research and discovery in the early instrument world, more so in England than anywhere else. He returned to the U.S., set up a workshop and began building lutes and historical stringed instruments. For several years he served on the board of directors of the fledgling Guild of American Luthiers. He attends the American Lute Society seminars each summer and continues his study of lute technique. After many years of building, he made a half-hearted attempt to retire from instrument making and stopped accepting orders for custom-made instruments. 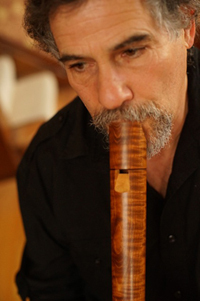 He and his wife enjoy traveling and have attended early music programs at U. of Madison, Wisconsin and most recently the Francesco da Milano week in Spello Italy, where he was the only American luthier to be invited to join the Cetra Project, an effort by Italian musicians to resurrect the medieval Italian cetra. This was followed by two weeks of visits to museums around Italy to inspect lutes and other early instruments. He has retired from instrument making and no longer accepts repair work of any kind, but still builds an instrument or two as a hobby. 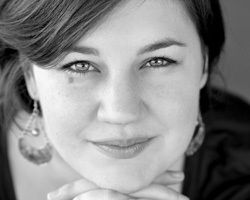 Soprano, Jackie Stevens holds a masters degree from the University of Cincinnati-College Conservatory of Music and an undergraduate degree from Texas Tech University, both in vocal performance. She was seen recently as the title role in CCM’s production of Monteverdi’s L’incoronazione di Poppea. Jackie works as a voice teacher in the Cincinnati area and as a Program Administrator for the esteemed art song festival SongFest. She is currently teaching voice as a Graduate Assistant at CCM, while pursuing her Doctor of Musical Arts under the tutelage of soprano, Gwen Coleman Detwiler. Singing early music is her passion, and she is thrilled to join The Shakespeare Band, a subgroup of The Noyse Merchants. If you ask Melisa Bonetti what her favorite song is, you will get no reply--it is the very diversity of music that draws her, the way different peoples and cultures have approached musical expression and invented it anew every time. Her favorite place, though, is easy: on stage, performing. Her training has largely been in opera, everything from Gluck to Stravinsky, and she has sung at Wolf Trap and in Beijing, China, with the opera programs there. She is currently fashioning a career that will lead her to explore many genres and a variety of performance settings. Her Dominican heritage, for example, has given her a special interest in music for, by, and in Hispanic communities. The Sephardic music of Spain strikes a deep chord within her, and she finds it very natural to sing. 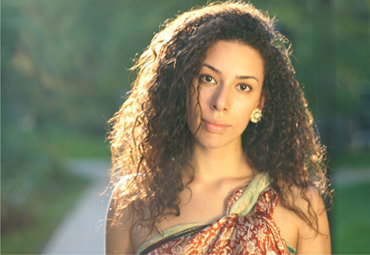 Melisa is a graduate of the Aaron Copland School of Music in New York, and is currently studying at CCM with Karen Lykes. 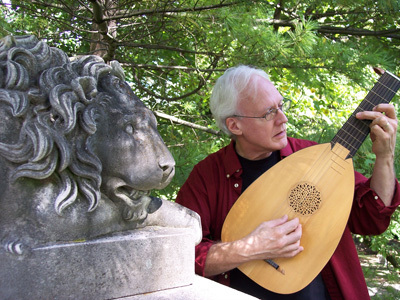 William Willits is a classical and fingerstyle guitarist and lutenist from Cincinnati, Ohio. 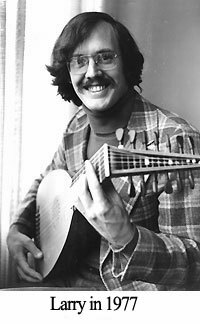 Bill earned a bachelor's degree in guitar from Grand Valley State University, followed by master's degrees in classical guitar performance and music history from the Cincinnati Conservatory of Music. 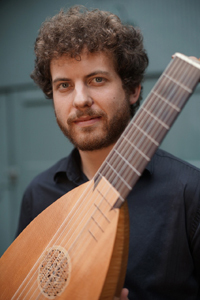 He currently performs on instruments such as classical guitar, Renaissance lute, baroque guitar, vihuela, Renaissance guitar, theorbo, ukulele, and bass guitar as a solo artist and in chamber settings. Bill has collaborated with many singers and instrumentalists, and has recently been involved in projects with groups such as the CCM Philharmonia, The Noyse Merchants, Consort in the Egg, the Allan Pray Ensemble, and CCM Opera. He also performs regularly as a solo artist in concert series, festivals, and recitals. In addition to performing, William also maintains an active private teaching studio and runs an after-school guitar ensemble for middle and high school students. For more information, visit www.WilliamWillits.com. Laura Sabo is a classically trained musician who has crossed to the dark side of improvised music and never wants to go back, except occasionally when she gets to perform with wonderful ensembles such as the West Virginia Symhony Orchestra and Concert:Nova. She fell in love with music as a child when she would sneak into the basement after dinner to spend hours listening to old records. Her impatience chose saxophone as her first instrument in fourth grade simply because the line for flute was too long. Although she was reduced to tears when her private lesson teacher forced her to switch to clarinet, it has proven a fateful match. Her teachers have included members of the Cleveland Orchestra and Cincinnati Symphony Orchestra. She has received degrees in music from the Ohio State University, Cleveland Institute of Music, and her doctorate from the College Conservatory of Music at UC. Still, she is consistently lured away from the classical world by the expressive, soulful wailing made by gypsy and folk clarinetists of Turkey and Eastern Europe, and finds her truest musical self playing original gypsy jazz with the Marmalade Brigade, Cajun and Dixieland with Lagniappe, trance/belly dance with Mayan Ruins, bass clarinet with Strange Creature, and of course, early music with the Noyse Merchants. She is also the organizer/impresario for Classical Revolution Cincinnati and teaches private lessons all around the Cincinnati area. Michael grew up surrounded by music. His mother taught piano, recorder and music theory in her home. He studied clarinet in elementary school but discovered his love of early music and the recorder in college. After graduating, Michael joined the faculty and was Collegium Music Director at Wilmington College, and later enjoyed serving as Assistant Director of the Collegium at CCM. A past winner of the Catacoustic Consort Scholarship, Michael currently performs with Consort in the Egg, Cincinnati Recorder Consort, the New Baroque Ensemble, and Noyse Merchants. Will Menton keeps the beat for our band, but that's just the tip of his musical iceberg. He requested violin lessons as a child because Sherlock Holmes played, and although he left the violin behind when the guitar began to beckon, he has never stopped listening and participating. He composes in a variety of musical styles, including genres he helped to develop (imagine a World/Americana/Turkish/folktunes mix, and you will approach the work being done by Strange Creature, his latest project), and he performs them on a variety of stringed instruments, both Western and Eastern. 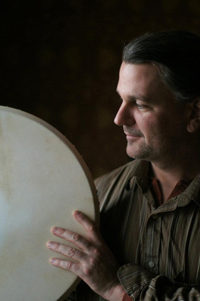 Will has performed all over the city and region for years, and can be heard on recordings by both Keshvar Project and Mayan Ruins, some of which he also engineered and produced. Each time he gets to look into a new genre, he sees it as an opportunity to improve his musicality, and early music in particular has much to offer in the way of odd meters and modes. The rhythmic challenges demand a lot from a drummer, who must keep everyone together through a shifting landscape of seven-beat measures and asymmetrical phrases, but they afford a glimpse into how the people of a different time and place described their own experiences. The word "Noyse" is familiar to readers of Chaucer and other Middle English texts. The first appearance of the word in the 12th century reflects a neutral connotation: "They all made great joy with suche a joyfull noyse that the paynyms without dyd here it" (Berners Huon lix. 1566, OED). Its negative connotations do not appear until later when "noyse" comes to describe the aggregate of sounds produced in large towns. Etymologically the word can be traced back to Old French (noyse) and to 11th-century Provençal (noysa, nosa, nausa).